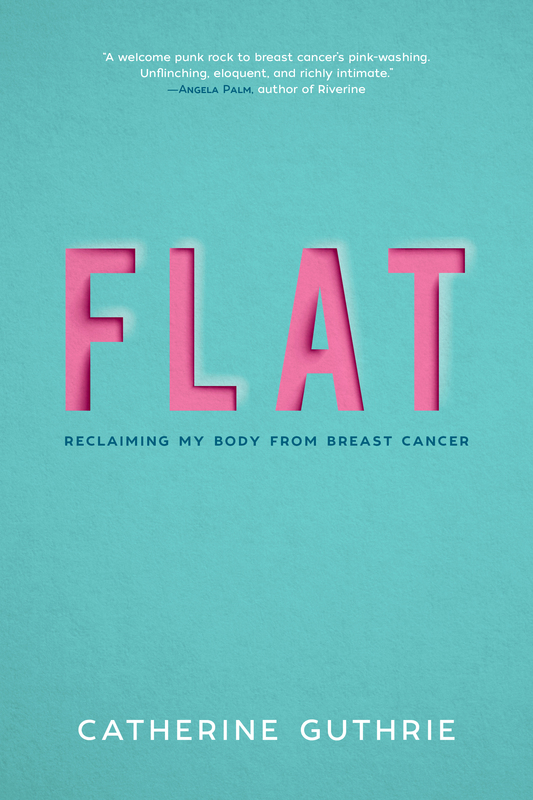 FLAT: Reclaiming my body after breast cancer is the cancer memoir you haven’t read — the compelling narrative of a young, queer woman pressed up against a life-threatening illness and cultural expectations of femininity. Guthrie’s refreshing femininity doesn’t fit the familiar cancer narrative. Informed by both the nuances of queer identity and a women’s health journalist’s insider knowledge, this memoir is a welcome punk rock to breast cancer’s pink-washing. Unflinching, eloquent, and richly intimate, FLAT has shaken me, inspired me, prepared me for what could happen. I thought about this book when I was in traffic, when I woke up in the morning, and in the middle of the night. This story is sometimes terrifying and always compelling. The best compliment a memoirist can receive is for a reader to say, ‘your book changed the way I view the world.’ FLAT did that for me, and it has the potential to do that for many people. The biggest triumph of FLAT is how it carefully upends the breast cancer narrative in smart, surprising ways. FLAT is laced with sharp, funny, and thought-provoking insights on how living with breast cancer effects gender, identity, and human relationships. It’s a warm, moving, and fresh tale, told by a writer in the perfect position to share it. A veteran magazine writer, Catherine Guthrie shares in FLAT the poignant story she couldn’t tell in women’s magazines: not the pink ribbon story, but her personal, hard-fought, disorienting and reorienting story of living with breast cancer. Hers is a voice—candid both in fury and in love—you can trust. FLAT is a nuanced and original work that tackles every woman’s breast cancer fear head on. Guthrie is a women’s health journalist diagnosed with the very disease she has spent her career trying to elucidate and sidestep. What she does with her diagnosis cuts through our cultural assumptions and leaves me in awe of her courage. Everyone who goes through breast cancer treatment is brave in their way, but Guthrie challenges and overturns orthodoxies right and left. Her wise, clarion, un-saccharine voice is so, so refreshing. She is a muse for her generation and others to come. 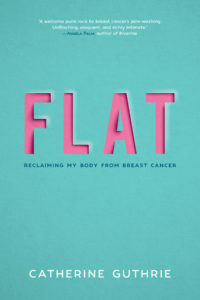 FLAT is a captivating story that will appeal to any intelligent reader forced to deal with the unexpected havoc wreaked by a breast cancer diagnosis. I highly recommend FLAT to any woman and her loved ones looking to move through the tumult of cancer. As a women’s health journalist, my byline had graced every glossy from O Magazine to Time and I thought I’d covered breast cancer from every angle. But, after two bouts with the disease and an egregious medical error, I realized I knew nothing. Worth knowing is that I’ve shared portions of my story on The Oprah Winfrey Show and in Slate and O, The Oprah Magazine.